La-Z-Boys may be deceptively comfortable but boy are they hard on the eyes! A proper man deserves a proper armchair – one that is conducive to lounging, but also screams out to company, â€œpick me!â€ when itâ€™s time for a seat. The ultimate armchair is an oversized, weathered leather type, but those are real investment pieces. So until you become a man of leisure, consider these more affordable types, which have heft and stylistic integrity, but also look cushy enough to read a book in. 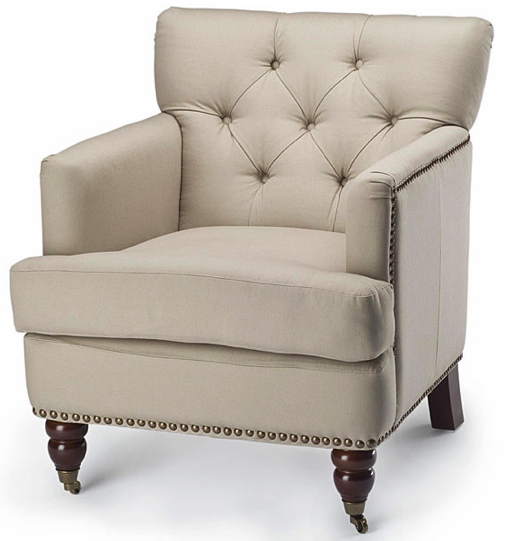 This regal Manchester Club chair is yet another example of something from Overstock.com that looks much more expensive than its price tag. 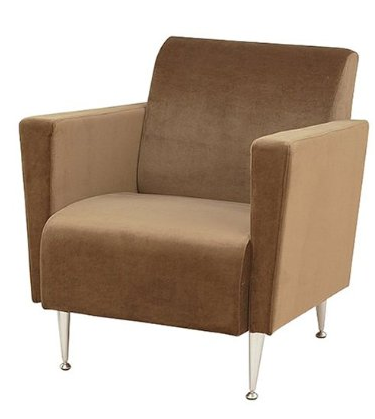 The Velvet Club Chair from Target has nice texture and would make a great wingman to just about any couch. 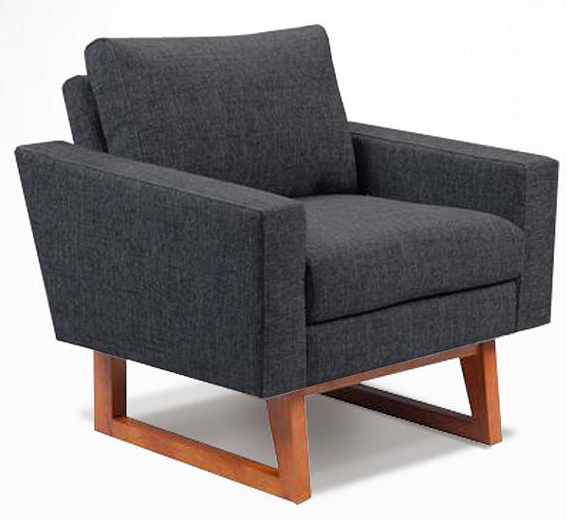 The Parker Chair from Urban Outfitters looks like just the thing to sip your after-work martini in. And would you look at those legs! 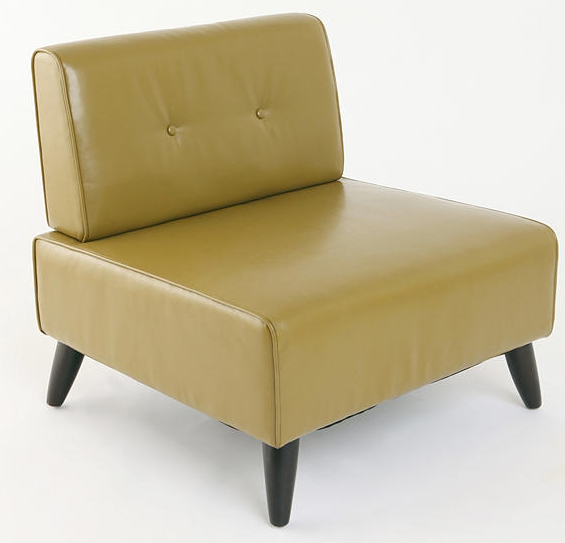 Also from Urban Outfitters, the Alfie chair may be lacking arms, but itâ€™s definitely built for lounging. 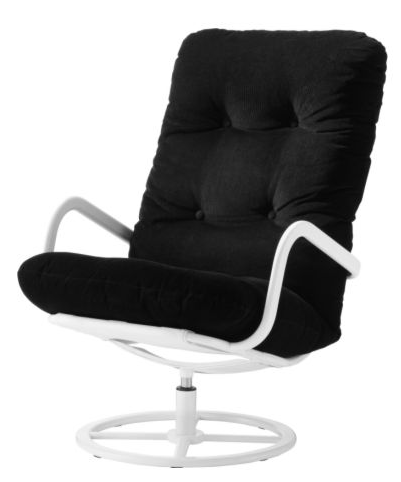 The Smedsta swivel by IKEA is plush and easy to keep clean with its removable, machine washable cover. It also looks like something youâ€™d find in a Stormtrooperâ€™s apartment.